This year, the Yarn Harlot was a tad late with her Annual Canada Day post...but as usual it was worth the wait. If you don't know of her...you can read THAT POST and more on her blog...and look for her books on indigo.ca and amazon.ca or amazon.com and probably other places too. I have them all and have read them all...and had a 'bucket list' item crossed off when a few years ago she came to Edmonton, and I was able to meet her, get her to sign one of those books, and knit on my sock. 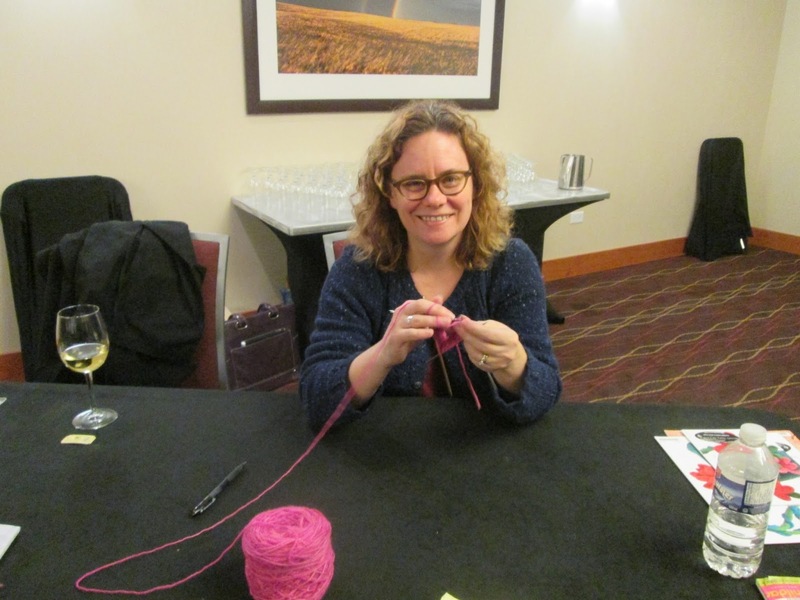 In knitting circles, she's one of Canada's best and brightest for her wisdom, her humanity, her humour and her skills. A yarn-lover's treasure -- and I'm grateful she's ours.